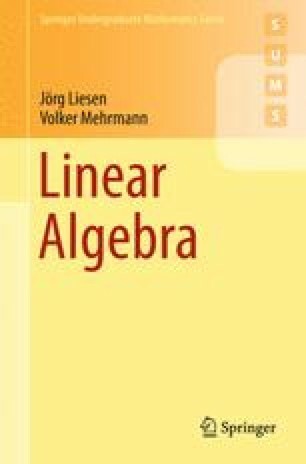 Solving linear systems of equations is a central problem of Linear Algebra that we discuss in an introductory way in this chapter. Such systems arise in numerous applications from engineering to the natural and social sciences. Major sources of linear systems of equations are the discretization of differential equations and the linearization of nonlinear equations. In this chapter we analyze the solution sets of linear systems of equations and we characterize the number of solutions using the echelon form from Chap. 5. We also develop an algorithm for the computation of the solutions.